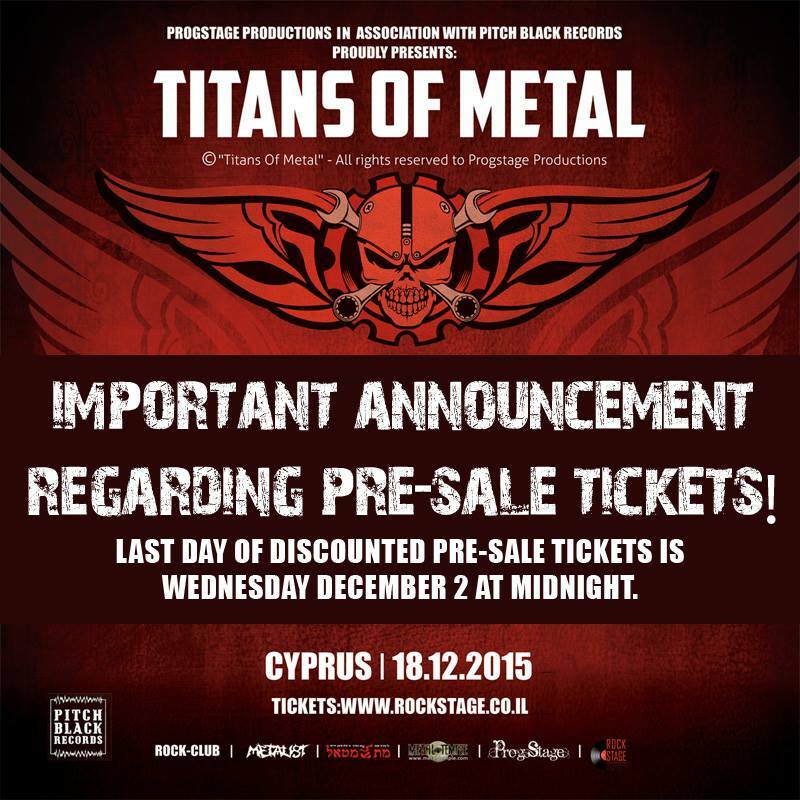 Important announcement from Pitch Black Records, regarding the presale tickets for Titans of Metal show in Cyprus. As originally announced, the discounted pre-sale tickets are only available for a limited time. 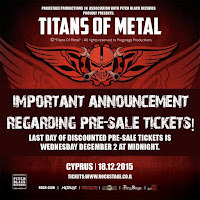 Those tickets will only be available until Wednesday December 2 midnight. After this date any remaining pre-sale tickets will be withdrawn from all pre-sale locations as well as online and they will not become available again. Anyone who has asked their local pre-sale location to reserve tickets for them should go and get them before the above mentioned date as any unpaid reservations will also be withdrawn. 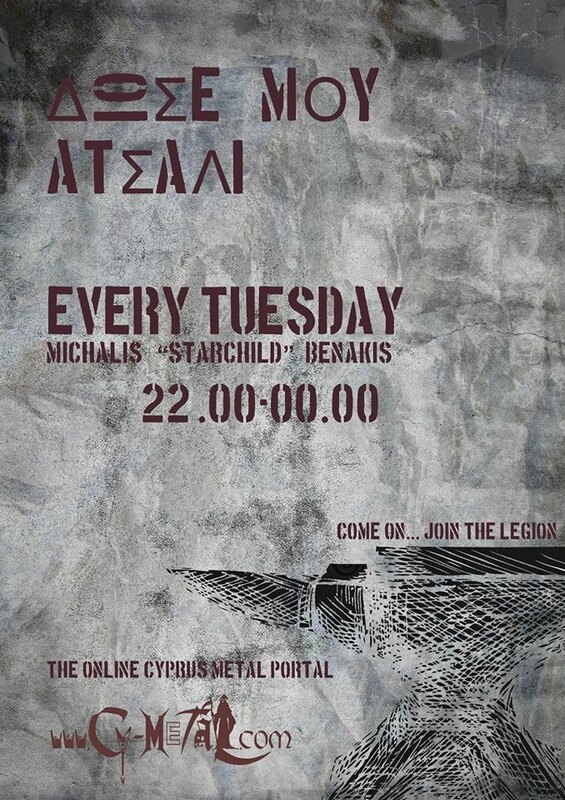 Reminding again that the pre-sale price is 35EUR / 50EUR (for VIP) and normal price will be 45EUR / 60EUR (for VIP).